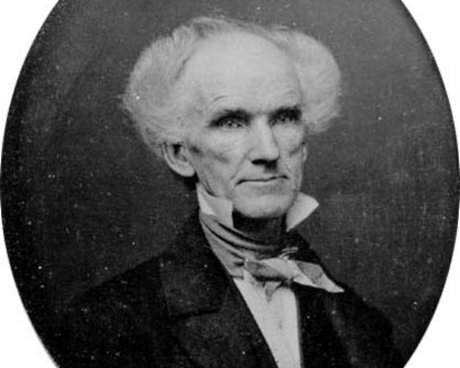 James Barton Longacre, the Chief Engraver of the U.S. Mint and the designer of many well-known U.S. coins (including the three-cent silver, the three-cent nickel, and the Indian cent), was born in Pennsylvania in 1794. His mother died when he was very young, and he did not get along well with his stepmother, so when he was twelve years old he ran away and traveled to Philadelphia to find work. He apprenticed himself at the bookstore of John E. Watson and was eventually accepted into Watson’s home as part of the family. Watson soon discovered that Longacre possessed a substantial artistic talent and realized that a bookstore was not the place to develop it, and he released Longacre from his apprenticeship so he could search out a different, more appropriate line of work. Longacre’s next apprenticeship was at the engraving firm of George Murray. 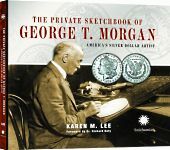 Murray’s company specialized in the creation of bank notes, which meant that Longacre had a very early exposure to a set of skills that would help his career later in life. Interestingly, Murray also employed Christian Gobrecht, the man who eventually preceded Longacre as Chief Engraver of the U.S. Mint. After working for George Murray and learning the engraving business for many years, Longacre decided to start his own engraving business. When his apprenticeship ended in 1819, Longacre went out on his own. 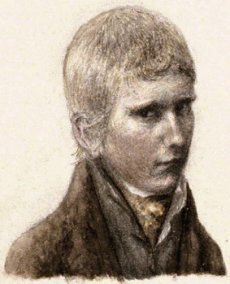 His first major job came in 1820, when he was hired to produce illustration plates for Bradford’s Encyclopedia. 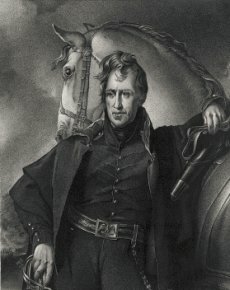 One plate in particular, a portrait of Andrew Jackson based on a famous painting by Thomas Sully, proved to be very popular with the public. It was a great boost to Longacre’s reputation as an engraver, and especially as an engraver who could faithfully reproduce other people’s art. During his years of working alone, Longacre also produced the illustrations for the book The Signers of the Declaration of Independence, a massive nine-volume collection that was published between 1820 and 1827. Many historians have harshly criticized the text of these books, and the consensus seems to be that they sold mostly on the strength of their excellent engraved illustrations. Filed under Coin Designers, Three Cent Nickel.